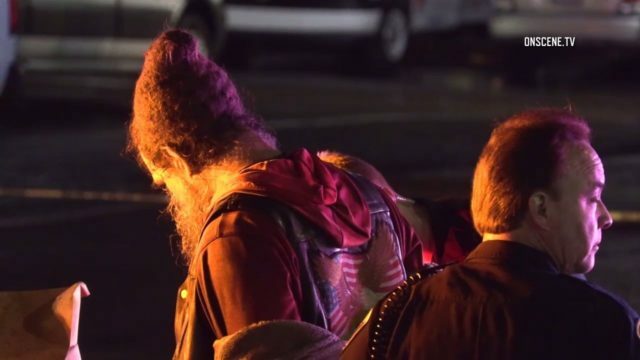 A man was beaten to death in the street with a hammer Monday evening, apparently wielded by a 50-year-old homeless man in the Point Loma Heights section of San Diego. Officers responded to a report of a violent disturbance in the 3800 block of Midway Drive at about 6:15 p.m., San Diego Police Lt. Mike Holden said. While they were en route, police received more 911 calls describing a fight in which a man wearing a Santa Claus hat was hitting another man in the head with a hammer. When police arrived, the wounded man had suffered major blunt force trauma to the face and head. The suspect, later identified as Greg Jennings of San Diego, was still at the scene and police arrested him after a brief struggle, Holden said. Paramedics were called to treat the wounded man but he died at the scene, Holden said. His name was withheld pending notification of next of kin. Police don’t yet know what caused the argument that cost the man his life, but Jennings allegedly kept hitting the victim in the head after he was down on the ground. It was later determined that Jennings wasn’t wearing a Santa Claus hat but had his hair dyed and shaped into a cone, police said. Jennings was booked into jail on suspicion of murder.